Hello! Thank you for stopping by my neglected (again!) blog! I also have a neglected Tumblr and Flickr account. Woo! 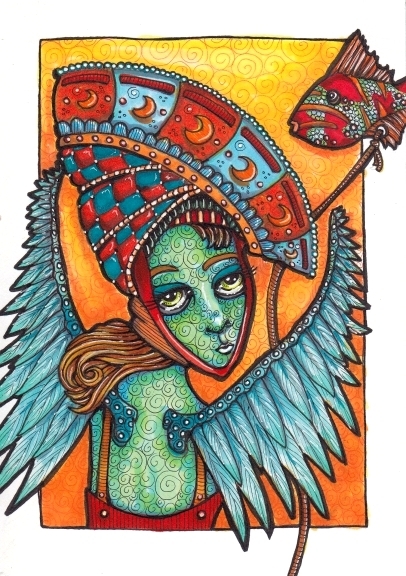 I do try to post new art to Facebook, if you want to see more things. It is December 13th. I wanted to write a book this year, and though I did not finish a book, the plan to write a book actually did spur some book-related writing! So, now instead of a vague idea for a book, I have 3-5 ideas and some scribbles to go with each! 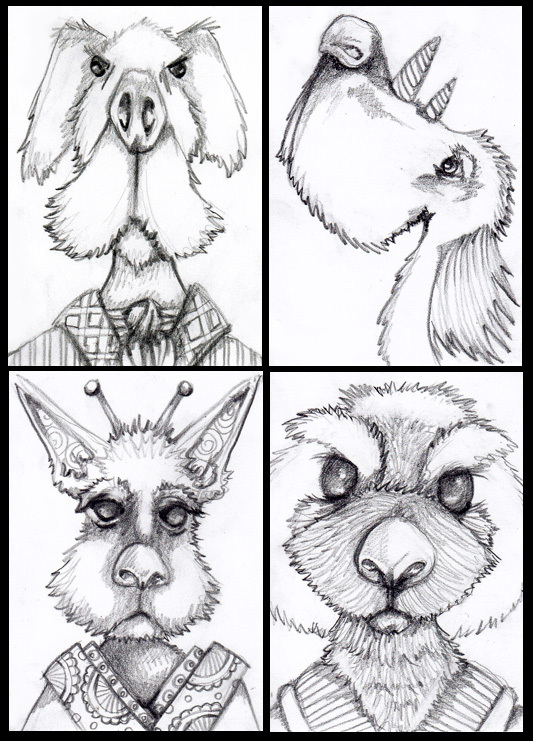 Meanwhile, I’ve been sketching a variety of big-nose and fluffy creatures, while watching my current favorite show in all of the universe – Agatha Christie’s Poirot. I don’t know if the show has influenced the drawings, but if so, I don’t mind! 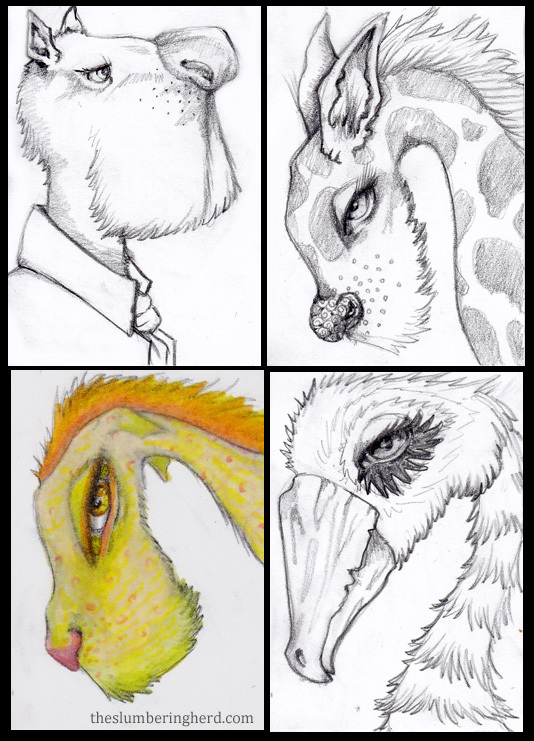 Pencil sketches, 2.5″ x 3.5″, Poirot set three (includes one in color from set 1)! I have this idea to paint some of these characters, likely in acrylics. But as some of you may know, I have had the HARDEST time getting myself to start painting. It’s the whole – tons of supplies to set up, cleaning up, the brushes the mess, oh my! But it could happen. And if it does, I shall post about it here. 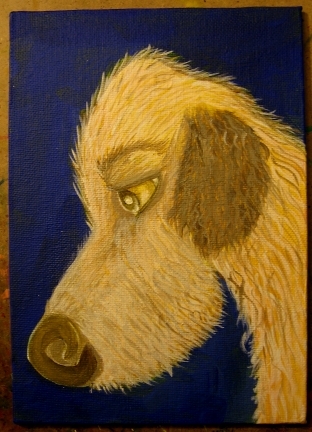 This entry was posted in Art Card Dogs, ATCs and ACEOs, Copic Markers, sketches and tagged aceo, art dog, atc, beasts on December 13, 2015 by The Beast Tender. Lucia, A Modern Witch. In progress. Each 2.5″ x 3.5″ Copics, fine liners, white gel pen. Lucia, made for a “Witches” themed swap. Very early for Halloween. It all started when I made the following to answer a request for a “creepy thing in a jar”. As you may know, creepy things are not my typical choice of subject! Creepy can be fun once in a while. Might do more. Lots of progress pics! 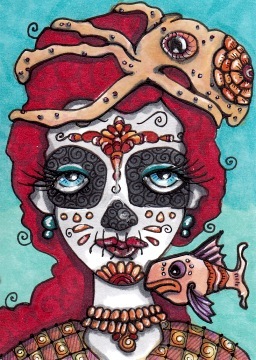 This entry was posted in ATCs and ACEOs, Copic Markers, Progression Photos and tagged aceo, atc, Copic Markers, pen & ink on August 2, 2014 by The Beast Tender. It’s been a slow art week because my regular job has been busy. Which is not my favorite kind of week! Fancy cats seems to be my fall back position at the moment. I guess I can deal with it though I feel the need to mention (again), that I am in fact a dog person. A dog person who likes cats. Cats are cool. But the world may need more dogs in fancy clothes so I am going to try to switch! Hello Paint Party Friday, which I am entering quite late. 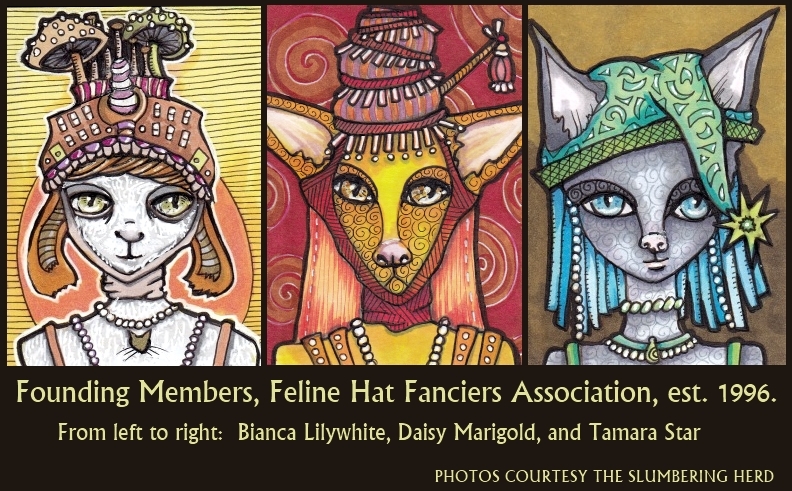 This entry was posted in ATCs and ACEOs, Copic Markers, Elaborate Costume, Paint Party Friday, Progression Photos and tagged atc, cat art, Copic Markers, pen & ink on May 10, 2014 by The Beast Tender. Hello to Paint Party Friday! And one more thing. I made a Flickr set of fancy clothes (human and beast) Woo! 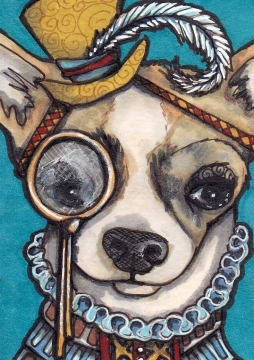 This entry was posted in Art Card Dogs, Copic Markers, Elaborate Costume, Paint Party Friday, Progression Photos and tagged aceo, art dog, atc, Copic Markers, pen & ink on April 10, 2014 by The Beast Tender. You may remember Lady Mrowr from just a few days ago. This is her sister and rival, Lady Hisst. Both are currently vying for the affections of Sir Thom Kyatten, Duke of Dandelion (below). Submitted to Paint Party Friday! Happy PPF! Thanks for dropping in! 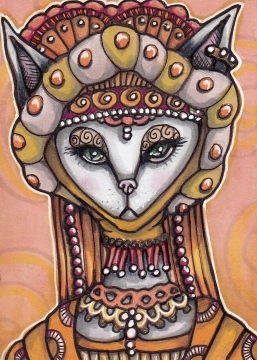 This entry was posted in ATCs and ACEOs, Copic Markers, Elaborate Costume, Paint Party Friday and tagged aceo, atc, cat art, Copic Markers, maidens, pen & ink on April 4, 2014 by The Beast Tender. On the left is another spirit mask. And at the risk of tiring all my kind visitors, below are the three spirit masks with the animal faces and botanical crowns which I am now calling the Forest Graces. I like to look at at these particular spirit masks all together. Maybe a couple more and I’ll do a set of some sort. Or a print. Or cards. Hmm. Thanks for dropping in! Lots of progress pics. 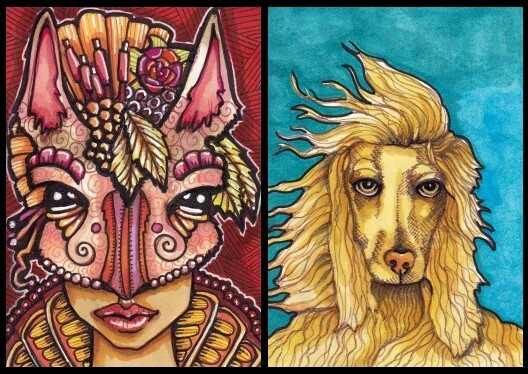 This entry was posted in Art Card Dogs, ATCs and ACEOs, Copic Markers, Progression Photos and tagged aceo, atc, Copic Markers, pen & ink on March 15, 2014 by The Beast Tender. Another day, another two inked art cards with an unlikely connection! The parasaurolophus and Imogene are faces number 17 and 18, which puts me slightly ahead of the February curve! This is a detail of a larger tapestry that hangs in Imogene’s front hall. She claims it was inherited down several generations, originally stitched out of the imagination of a talented great aunt from Quebec whose husband was the owner of a parasaurolophus skull. The story is somewhat tenuous, as the parasaurolophus was first discovered in the 1920’s, after the woman in question had died. 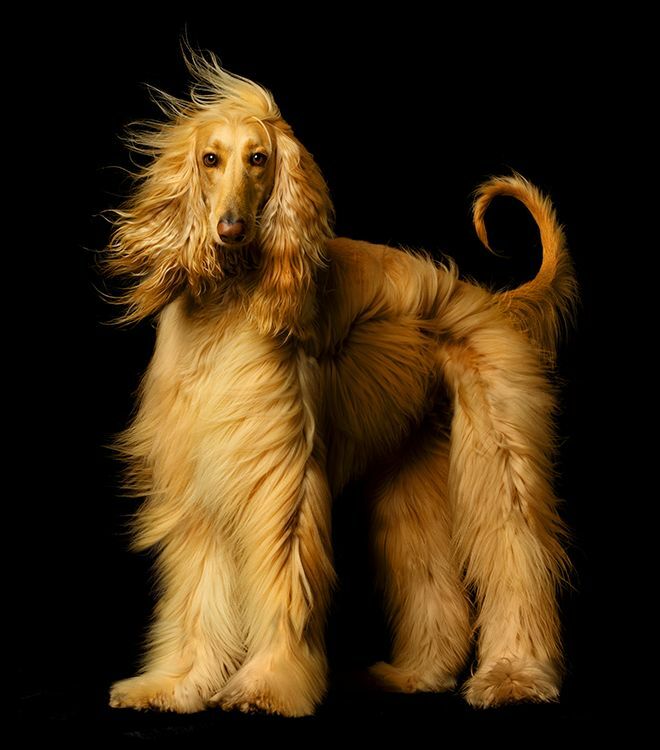 Incidentally, this creature (who probably looked totally different than this!) lived 75 MILLION years ago (according to Wikipedia. Hold it, confirmed at BBC Earth). Did I mention – SEVENTY-FIVE MILLION YEARS. I can’t even. 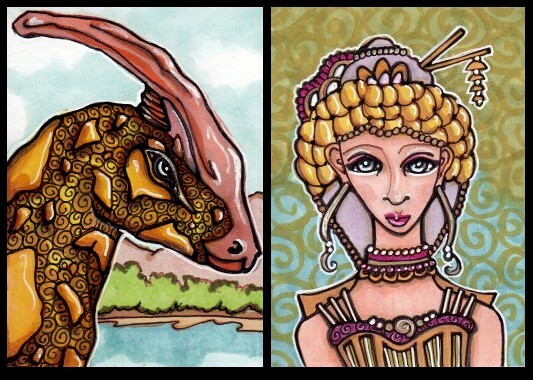 This entry was posted in ATCs and ACEOs, Copic Markers, Elaborate Costume, Progression Photos, sketches and tagged 29 Faces Feb 2014, atc, Copic Markers, pen & ink on February 16, 2014 by The Beast Tender. Day nine of the 30 Paintings in 30 Days Challenge. This is an experiment with ink and gel pen over an acrylic background. I’ve convinced myself that the actual acrylic canvas process will be greatly improved with various additional products I hope to pick up this weekend like acrylic glazing liquid and tiny jars with lids. This blue elf is Maiden Number 139. I think I prefer the next to last image below, before the white gel pen. Should have stopped there. Knowing when to stop is not something at which I am an expert! 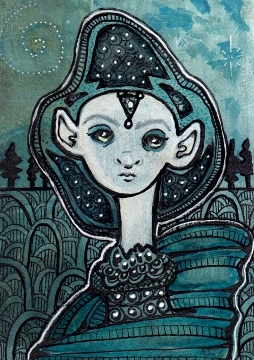 This entry was posted in Acrylics, ATCs and ACEOs, Progression Photos and tagged aceo, atc, illustration, maidens, pen & ink on January 9, 2014 by The Beast Tender. It is, in fact, day eight of the Thirty Paintings in 30 Days Challenge. I skipped day seven in hopes of catching up on the weekend. Work has been more tiring than usual, probably because of the recent holidays. Bah! 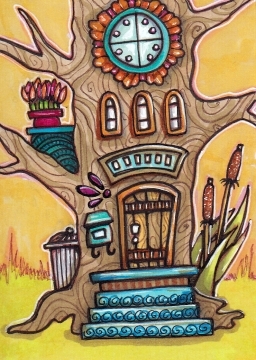 This stylish abode belongs to a gnomish clock maker. He is inside right now, cleaning the hands that belong to that clock window on the top floor. This is Tiny House #34. It is for this reason that I am also submitting this illustration for the topic “Time” at Illustration Friday, from which I have been absent for ages! Topics are posted each Friday, and anyone who illustrates the topic in some way is invited to submit their link. Above, we continue the gripping adventure of the unfinished hound. As you can see, I really need to reference a photo for the direction of that hair on his face. Stay tuned! Thanks for stopping in! 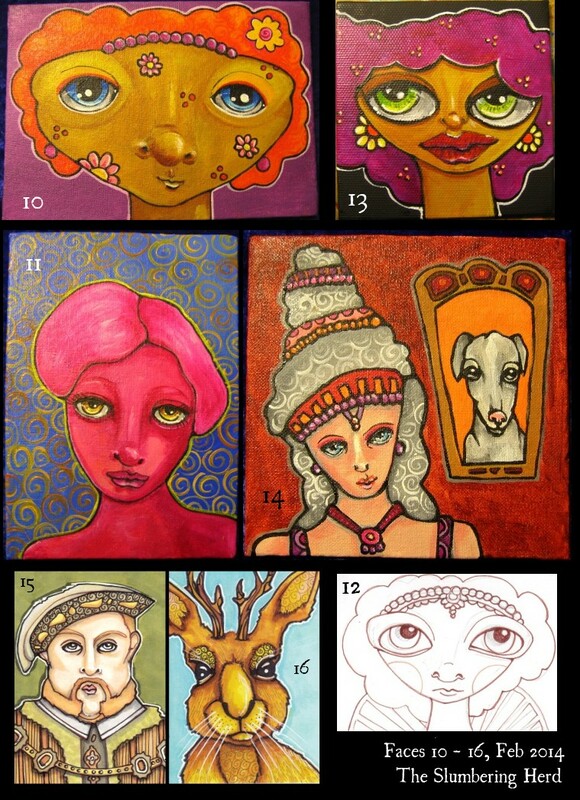 This entry was posted in Acrylics, ATCs and ACEOs, Copic Markers, Progression Photos, sketches, Tiny Houses and tagged aceo, art dog, atc, Copic Markers, illustration, Illustration Friday, pen & ink on January 8, 2014 by The Beast Tender.